At the start of CES, Razer announced Project Linda: a clamshell accessory for the Razer Phone that turns the smartphone into an Android-based laptop. The idea is that the phone is inserted into where the mousepad is, with the smartphone screen being used as the mousepad, the CPU, the GPU, and what the clamshell provides is a keyboard, USB and other ports, and a touch display similar in resolution to the smartphone, and some extra storage/battery, but at 13-inches. Some of the key features of the smartphone, such as the front-facing speakers, are used for audio. Ultimately this is meant to be for gamers that want to play Android games on a bigger screen with a mouse and keyboard, but still have something on the go that is better than a standard phone for standard workday things. At the Razer suite, there were a couple of prototypes in action. Despite the software being nearly there, the hardware, for the most part, was done and fully working. The keyboard is RGB backlit, using chiclet-style keys, and the display (while not 120 Hz) was very bright. With the phone installed, it weighed about the same as my 13-inch laptop, though it was noticeable that all the weight was in the smartphone. Without the smartphone installed, it was very light. To be honest, the noise of the motor was good. However, there were a few concerns. 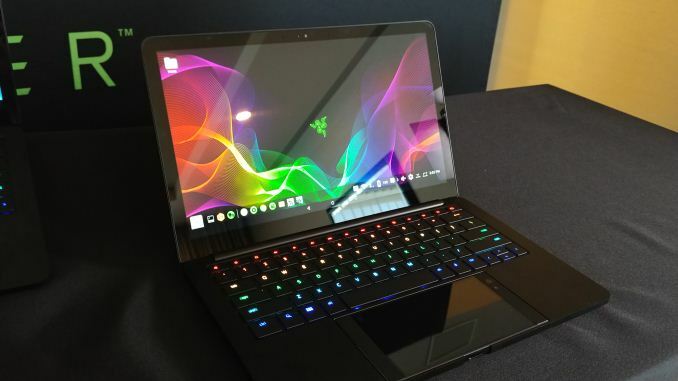 With the shape of the Razer phone, it could obviously be put in four different ways: the right way, the right-way-up but the wrong way around, the wrong way up and the right way around, or just the wrong way altogether. Because the motor that pushes the connector is based on the keyboard and not from the smartphone, there would be no way to save either device if the smartphone was put in incorrectly. 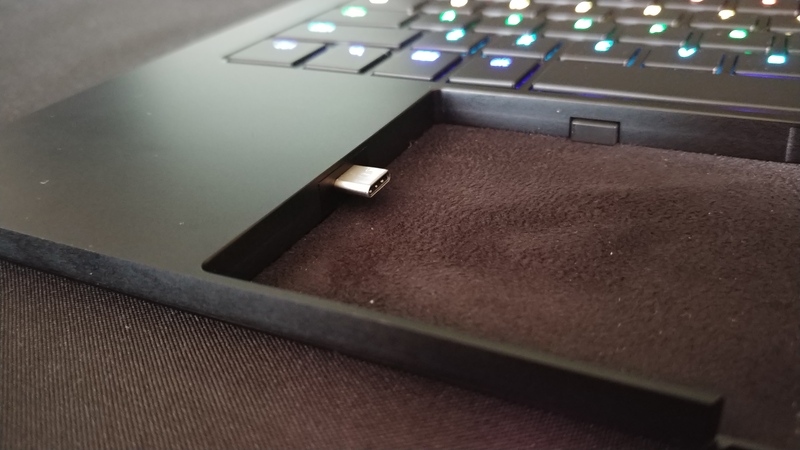 Arguably if the phone was just upside down, the USB-C would still go in, but the user would not have a touch-pad, but the wrong way around would certainly break *something*. When discussing with engineers, there was no obvious solution to avoid users accidentally doing this, and the advice was ‘don’t’. There are still a number of bugs to sort out on the software, but Razer expects Project Linda to be ready to go, perhaps in Q2. 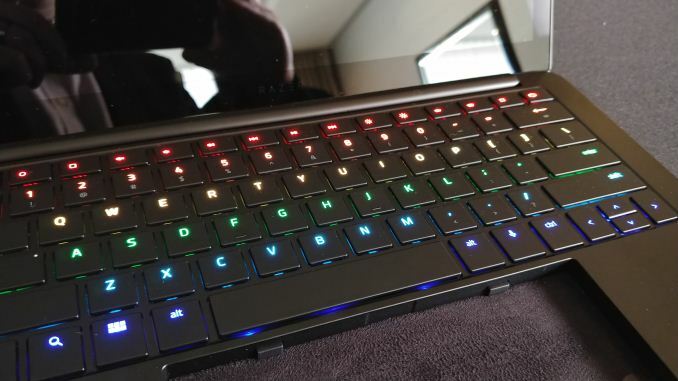 While it won’t be applicable for my user workload, and Razer ultimately targeting a small market (i.e. 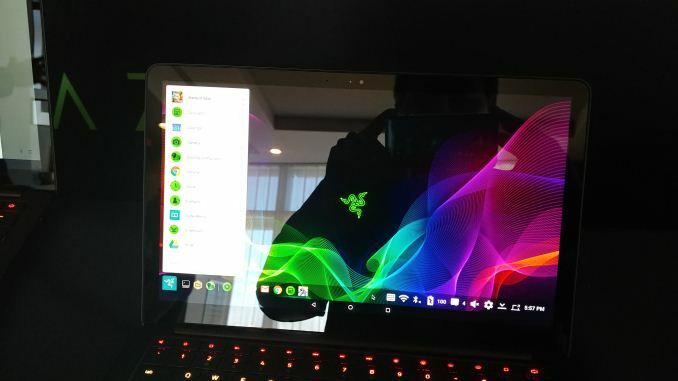 Razer Phone owners only) that also have the need for an Android laptop/gaming device, Razer is fully confident about enhancing its ecosystem. Unconfirmed rumors around Razer’s next mobile device point to a Q3 launch, with perhaps Linda focusing on that as a primary attachment device. We were unable to confirm these rumors. Isn't the phone already out in the wild? Little late to be changing the design. "What happens if you sell a device to the public that isn't idiot proof?" If we simply ASSUME that the entire system needs to be built for knuckle-dragging neanderthals incapable of comprehending that their phone should be inserted with the tab facing the slot, it wouldn't be very hard at all to mount the connector atop a button so that the docking system aborts if there's an abnormal pressure(such as the port pressing against a solid surface instead of a hole). It still won't stop them from cramming a paper clip into the connector, or yanking the computer out of the docking unit without retracting the connector first, but it will protect against THIS PARTICULAR flavor of idiocy. Haha, it's Razer, you can easily buy budget laptop and remote desktop all the same. Also, you are mistaken that this is powered solely by the phone. This also have a built in battery so you have to charge it from time to time. > "Ultimately this is meant to be for gamers that want to play Android games on a bigger screen with a mouse and keyboard"